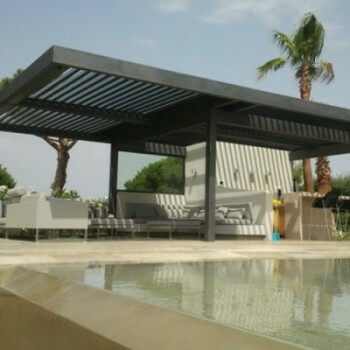 Since more than 17 years, we design and we build Bioclimatic Pergola with adjustable louvers. 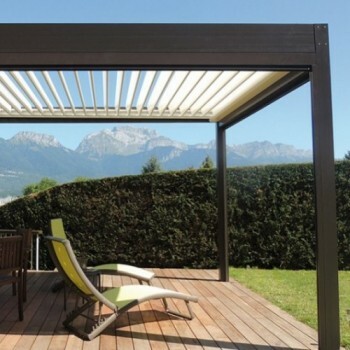 Pioneer of the bioclimatic pergola, SOLISYSTEME allows you to optimize and expand your living space. SOLISYSTEME has adjustable blades, incorporates the best features of more traditional sun-blinds and conservatories and provides you with protection from both sun and rain. 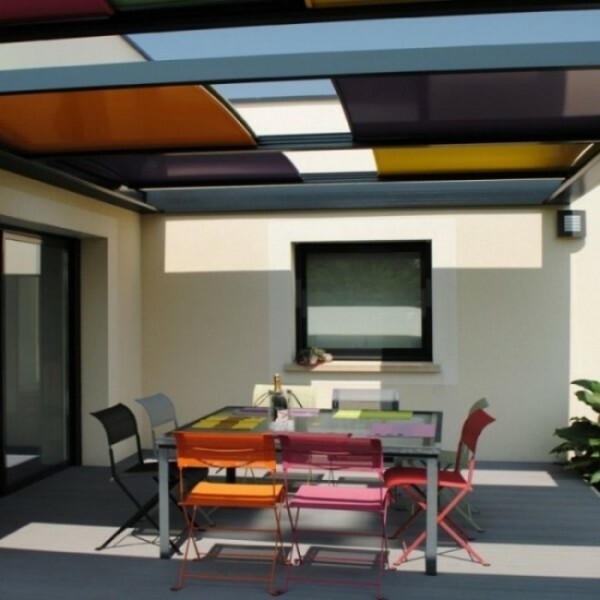 With its colored sliding panels, the Arlequin reinvents the pergola and offers the possibility of real-time creation to customize your outdoor living space. 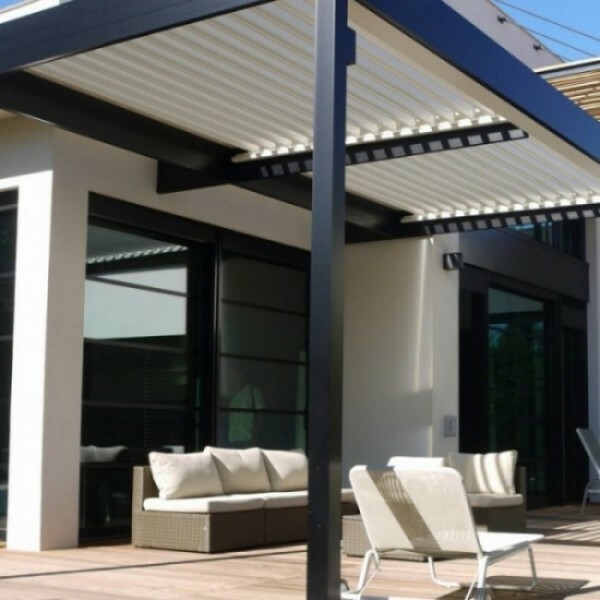 Installed above your terrace, this innovative garden shelter will give you access to a new living space and keep you protected from all weather conditions. 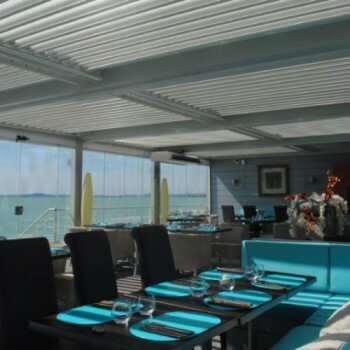 Do you want to replace your old shading system with something more stylish and modern ? 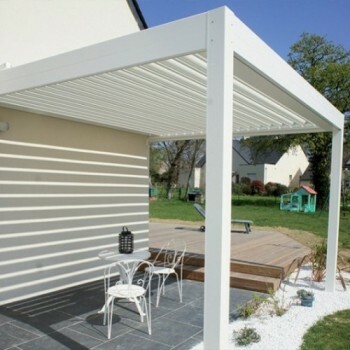 Terrace, winter garden, spa, patio, pool-side cabin or outdoor kitchen, your bioclimatic pergola will become a new room in your house. 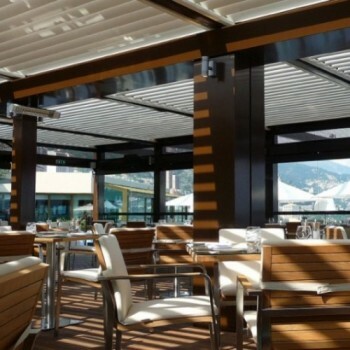 What’s more, the new space your bioclimatic pergola creates is both inside and outside. 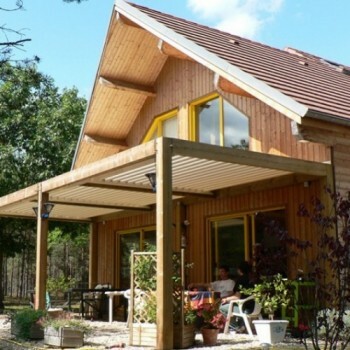 SOLISYSTEME enhances any property and fits perfectly with bioclimatic, energy efficient, green and passive design processes. Meets current French HQE and BBC building norms. 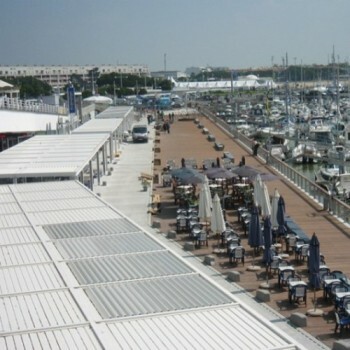 Do you own a café, a hotel or a restaurant and do you want to profit from a previously unused space : deck, terrace, patio or smoking area ? 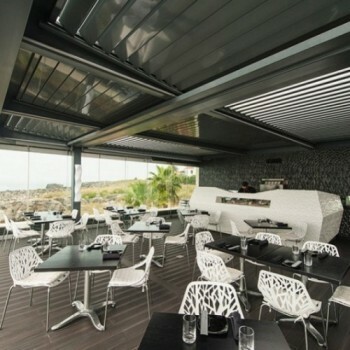 Do you want to optimize your working area without being dependent on the weather ? Do you want to stand out from the crowd by offering an innovative service area to your customers ? 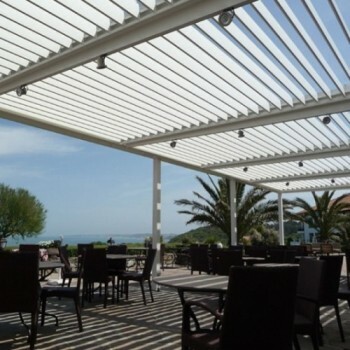 A bioclimatic pergola optimizes your operating surface and keeps your customers comfortable and shaded (or sheltered) all year round - no matter what the weather conditions! Our range of accessories can help you create a welcoming atmosphere throughout the day with LED lighting, stickers and space heaters. You want to offer high range solution to your customers ? 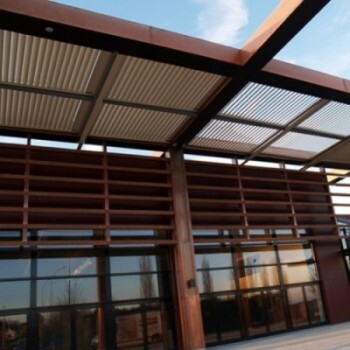 You wish to integrate pergolas with adjustable louvers panel to your construction to optimize the energy contribution ? Looking to showcasing services of communities, school, retirement homes, holiday centers ? 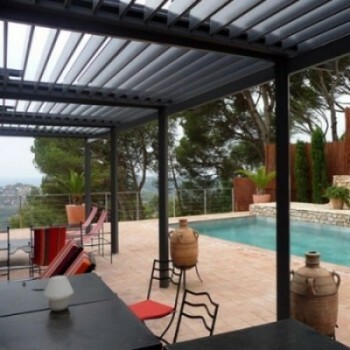 The prescription of our aluminum pergolas can be a real advantage combining functionnality and aestheticism to your project construction. Our savoir-faire in the customisation is a guarantee of sustainable solution which will stand out by its originality.